German auto maker Volkswagen has announced a ‘Goodwill program’, offering $1,000 gift cards for US customers affected by the emissions cheating scandal. "We are providing this goodwill package as a first step towards regaining our customers' trust," said Michael Horn, the head of VW's US operations. Under the program, VW car owners will get a $500 Volkswagen Prepaid Visa card. They will also get another card worth $500 which can be spent only on purchases or services at VW or Audi dealerships and free 24-hour roadside assistance for the next three years. The customers who want to claim the $1,000 in gift cards will have to do so by 30 April 2016. The move comes as the manufacturer tries to manage fixing some 500,000 cars that failed to comply with the US emission standards. It’s the first time the scandal-hit company has compensated people who own or lease VW diesel cars. The owners, however, do not seem satisfied with the auto maker’s compensation program. "I personally feel insulted by their peace offering," Nevada resident Dave Thompson, who owns a 2010 diesel Jetta sportswagon, told CNN. He clarified that VW customers paid a $5,000 premium to get the diesel engine and the better fuel economy with the promise that it was also good for the environment. “That trust is gone," he added. "I believe that if VW really wanted to make things right with their diesel owners...they'd buy back the cars," said Brian Witkin, who owns a 2014 Jetta diesel. "I'll never forget them telling me what great resale value the diesels have over the long run," he said, adding that the car has lost half its original value. 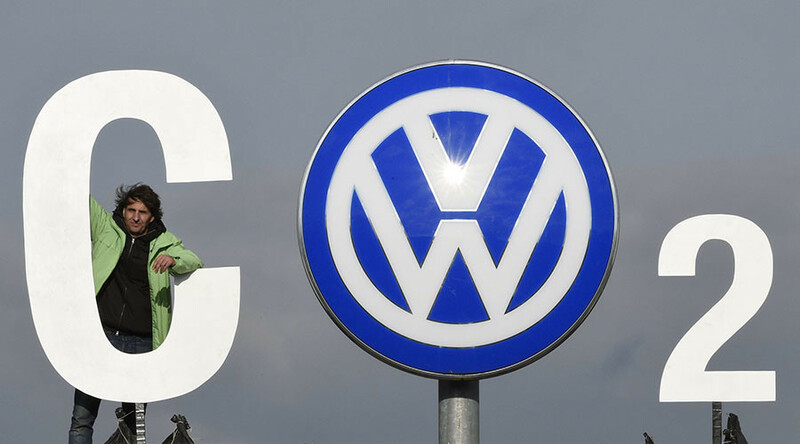 On the webpage, launched by Volkswagen on Monday under the headline “We’re Working to Make Things Right”, the company wrote that it had apologized to the customers for the emissions issue in recent weeks. “As we work tirelessly to develop a remedy, we ask for your continued patience,” Volkswagen said. The company had already admitted that about 11 million cars worldwide have deceptive software. This followed revelations from the Environmental Protection Agency (EPA) in September that VW cars had been equipped with software designed to fool emissions tests. The EPA reported the device allowed VW vehicles to pollute 10 to 40 times over the legal limit. The biggest scandal in Volkswagen’s 78-year history has seriously damaged its reputation. Rating agencies Fitch and Moody’s have earlier downgraded Volkswagen, with Fitch citing the possibility of further problems to be still uncovered by the company’s internal investigation.